In this case study, we will examine the probability of success of Hyundai’s new joint venture with Beijing Automotive in China. On February 5, 2002, Hyundai announced a 50-50 venture to set up a production facility in China. The joint venture plant to be set up in Beijing will initially produce 100,000 units of Sonatas and Elantras, then gradually increase to 200,000 units by 2005 and will cost an estimated $250 million. If the venture is a success within these years, then Hyundai will invest an additional $1.1 billion to increase production to 500,000 by 2010’s year-end. Hyundai, established in 1967, has come along way from its humble beginnings. Riding the wave of South Korea’s economic growth in the past three decades, Hyundai has become a global player in the automotive industry. In 25 years, Hyundai grew from producing a few hundred cars per year, to exporting cumulative shipments of over 5.5 million units. As such, it is imperative that Hyundai strives to continue to expand and diversify in other countries, namely, emerging markets. Attributing to this growth are joint ventures with other automotive manufacturers. We believe that there is tremendous opportunity to be realized in these strengthening Asian economies; China is one of the leaders in receiving foreign direct investments in the world, and this is a strong testament to its economic potential in the near future. This case will introduce students to two of the strongest emerging markets and will explore the automotive relationship between Korea and China. Our hope is that students will recognize this potential and take advantage of it as they embark on their professional careers. Mr. Park thought about his task for a moment, and before starting, he required extra knowledge and expertise about China and its automotive industry. Mr. Park immediately proceeded to call his good colleague, Michael Cheng, who worked for Mckinsey & Co. in China. Mr. Cheng had a vast knowledge of the automotive industry in China. He previously worked as a car salesman in China for several years and was very familiar with the country’s imports and exports of automobiles. Before valuating the project, Mr. Park felt like he still needed someone to paint a better picture of China’s demography as well as its political and economic status. Therefore, he called upon his good friend, Mr. J.P. Mei, who works for the government of China. Mr. J.P. Mei was also very familiar with foreign direct investment processes through a large number of projects dealing with global companies. Mr. Park flew all of his buddies in from China, and the group got started on building a recommendation for the Board of Hyundai Motor Company. Mr. Park felt confident and excited as he embarked on his recommendation for the manufacturing plant in China. But before they crunched any numbers, the group had a couple of major questions they had to consider: How should this project be financed? What is an appropriate cost of capital for the project? How will revenues be projected from year to year? The three colleagues stared at each other for a moment, scratched their heads, and strapped on their thinking caps…. In recent years, the Asian financial markets have suffered tremendously, to say the least. Only recently have the Asian markets improved. Of the countries in the Asian financial crisis, South Korea has been one of the countries that survived the crash and is now thriving. Scandals, corruption, and bad accounting are in the process of being addressed, and the traditional “Jaebuls” are slowly disappearing and being replaced with more structured management. Korean businesses have experienced and survived the worst part of the Asian market crisis and the future of those companies has much potential in becoming global players in all industries. China, the most populous country in the world, has just opened its doors to the world of automotive trade. Analysts have commented that for Chinese automakers to survive, they must partner up or parish. Hyundai, having already set up four other production plants in China, has been successful. However, with a volatile global market and changing trends, will Hyundai be able to make their biggest investment project pay off? Hyundai Motor Corp was established in 1967 and is South Korea’s #1 carmaker. Hyundai product line includes roughly a dozen models of cars and minivans, trucks, buses, and other commercial vehicles. 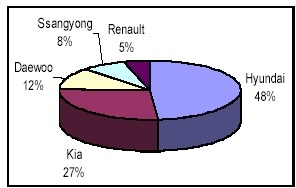 In 1998, it acquired a 51% stake in Kia Motors, resulting in its position as the leading carmaker in Korea. 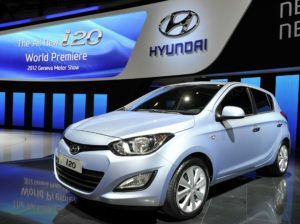 Hyundai’s main exports include the Accent and Sonata models, while its Korean domestic models include the Atoz sub-compact. Hyundai hopes to establish a strong worldwide manufacturing presence. DaimlerChrysler has purchased a 9% stake in Hyundai as part of a plan to boost Daimler Chrysler’s Asian market presence. The two companies plan to form a joint venture to develop small cars for the global market. It initially began manufacturing cars and light trucks through a joint venture with Ford. However, by the early 1970s Hyundai was ready to build cars under its own name by debuting its subcompact Pony in 1974. The Pony was a great success domestically and soon propelled Hyundai to the top spot among Korea’s carmakers. During the mid-1970s, the company began exporting the Pony to El Salvador and Guatemala. Several years later, Hyundai started to mass produce and anticipated penetrating strategies into markets around the world including Canada. Hyundai then introduced the Hyundai Excel in 1985. That very year the company established a subsidiary in the United States, the Hyundai Motor America. Hyundai exported Excels to the US and sales soared the next year. Building on this success, it built a factory in Quebec, Canada. The company introduced its first sports car, the Scoupe, in 1990. The following year it developed the first Hyundai-designed engine, called the Alpha. Two years later Hyundai unveiled its second-generation proprietary engine, the Beta. By 1998 Hyundai was beginning to feel the pinch of the Asian economic crisis as domestic demand dropped drastically. However, the decrease in Korean demand was largely offset by exports. Hyundai not only established a joint venture with DaimlerChrysler but went on to establish a collaboration with Mitsubishi Motors to further develop small cars for the global market. It is also important to note that Hyundai acquired Kia Motors in 1998, thereby increasing their market share in South Korea. The South’s success was quite unforeseen. The country where Park Chung Hee seized power in 1961 had a GDP per head equal to Algeria’s. Its third-largest export was wigs. The average life expectancy of its people was 55. But those people were well-educated, they worked hard and they saved what they could. The government did its best to promote development, supporting firms that succeeded in foreign markets. Thirty-six years later South Korea was the world’s 11th-largest economy, with an income per head on a par with Portugal, and had become a member of the OECD. Average life expectancy had jumped to 71. The country had also become home to the sort of industries that a strong military government would want plenty of, such as giant steel firms, car makers and shipbuilders. But this miracle came at a price. Outside the regime’s charmed circle, no entrepreneur could thrive. Petty-minded officials banned such “extravagances” as neon lights (until the 1970s), red cars (until the mid-1980s) and holidays abroad (until 1987). Successive governments used the supposed threat of subversion by the North to justify oppression, purges, incarceration, rigged elections, propaganda and a harsh national-security law. South Korea’s great achievement in the past decade has been to begin to shed this legacy, peacefully. The country’s current president, Kim Dae Jung, is a former dissident who was almost assassinated on the orders of one general, and sentenced to death on trumped-up charges on the orders of another. In 1997 he was elected without a murmur from the armed forces. And the economy has come a long way since the days when the planning commission siphoned scarce capital into strategic industries under the country’s five-year plan. Yet in the past few years South Korea’s continued shortcomings have also been plain for all to see. Politicians and bureaucrats became the instruments of big business. During the 1990s, large wage rises and foolhardy diversification diminished Korean companies’ competitiveness. The government, desperate to avoid failures, instructed banks to prop up large firms. But this did not work for long: the Asian crisis knocked the country sideways. From peak to trough, the won fell by 54% to 1,962 to the dollar, the stock market plunged by 65% between June 1997 and June 1998, and some of the country’s best-known companies went bankrupt. Last year GDP shrank by 5.8%. Just when the South Koreans thought they had made it, their economic miracle seemed to be evaporating. To its credit, the country has acknowledged its faults with remarkable candor. It has not tried to blame foreigners for its troubles, nor has it hid behind tariff barriers or currency controls. Instead, it has pledged to abandon the economic system that took it from poverty to prosperity in a generation. To fully understand the South Korean social climate, one must recognize the tremendous highs and the dreadful lows Korea has faced in their economy, technology, financial markets, global relations, and their domestic politics. Over the past decade, seemingly, South Korea has experienced what most countries have faced in their whole history. Beginning in the early 1990’s, South Korea experienced an influx of technological advancements, increased political certainty, and a growing economy. With the introductions of these new aspects of Korean life, the accumulation of wealth seemed to increase as well. Although slow at first, the continuous global investments began to grow and soon Korea was considered one of the Four Dragons, nicknamed for having such a growing economy and having much potential in terms of global investment opportunities. It was during this boom that Korea’s GDP exploded. Relative to some other Asian countries, East and South, Korea was thriving off of a booming automotive and electronics markets. Soon the GDP was seven times that of India, and nearly thirteen times that of its communist neighbors in the North. Korea’s GDP grew so much, in fact, that their GDP rivaled that of some European Union Countries. These were the times that Korea and its people were thriving. Socially, people were spending more on luxury goods and companies worldwide opened businesses and invested heavily in one of the Four Dragons. All of the growth, wealth, and investments, however, ultimately came to a crashing end during the Asian Financial Crisis. As mentioned above, in 1997-1998, Korea, along with almost all of the other developing Asian countries experienced the worst of financial times. The growth these countries have faced in the past just could not continue. Countries now hesitated on investing in Asian countries, being that these countries potentially have tremendous risk involved with it. More important to the people, however, wealth, jobs, and pride were lost. Looking back on the crisis, now that the worst is over, South Korea has rebounded pretty nicely. In 2001, the South Korean economy has outperformed the majority of the other Asian Countries and has continued to show much improvement from just three years prior. South Korea is a republic where the president, serving a term of 5 years, and the legislature, consisting of 273 members, share power. The country has nine provinces and six separate cities: Seoul, Pusan, Inchon, Taegu, Kwangju, and Taejon. There are several political parties that include the Millennium Democratic Party (MDP), the Grand National Party (GNP), the United Liberal Democrats (ULD), and the Democratic People’s Party. In 1997, Kim Dae-jung of the National Congress for New Politics (NCNP) won the presidential election, defeating Lee Hoi-Chang and Rhee In-Je. On his inauguration in February 1998, Kim stated an engagement policy toward the North based on the separation of economic and political issues but still wanted to take a firm stance on security. This approach has been maintained despite strong criticism from the opposing GNP and sometimes from the North, including attempted infiltrations into the South. In 2000, Kim was awarded the Nobel Peace Prize for his commitment to democracy and his efforts toward reconciliation with the North. President Kim’s relations with the opposition have often been contentious and heated. The GNP remains the largest-single party in the National Assembly. However, in January 2001, President Kim’s party, renamed the Millennium Democratic Party (MDP), re-entered into a coalition with the United Liberal Democrats (ULD) led by former Prime Minister Kim Jong-Pil. With the new coalition and an agreement from the Democratic People’s Party, President Kim established a majority power in the Assembly in February 2001. From June 13 to 15, 2000, the leaders of the two Koreas held a historic meeting in Pyongyang and signed a joint declaration which promised continued dialogue, the reunion of separated family members, cultural exchanges, and the pursuit of reunification. Following the meeting, contacts between the Republic of Korea and the Democratic Republic of South Korea increased and the defense ministers from each country met for the first time on Cheju Island in South Korea on September 25. In August and November 2000 and in February 2001, the two Koreas sent delegations of 100 members of separated families to each other’s capitals for reunion meetings. While South Koreans take pride in its democratic state, it is their hopes that their Northern counterparts can enjoy the same civil rights, economic freedom, and lifestyle that they possess; their foreign policy includes the peaceful resolve of their situation with Communist North and any action necessary to maintain its own state of democracy. Recently, however, their northern neighbor has helped fuel a global concern of war. Armed with nuclear weapons and lead by an arguably crazy leader, North Korea has commanded attention on the global platform. Peace treaties, foreign interventions, and threats of war have all but decreased North Korea’s stance on communist threat. China’s doors were opened to the world in 1978 by Deng Xiaoping, and since, China has experienced over 20 years of unprecedented economic growth, with its economy growing faster than any other in history. China has had great success in converting from a command economy to a market economy, moving from a rural to an urban society, and maintaining political stability. However, China has even greater challenges ahead. Movement of workers from inefficient state-owned enterprises (“SOEs”) into the private sector brought about corruption, regional income inequality, weak financial institutions, industrial over-capacity, price deflation and unemployment. During China’s economic development, SOEs had played a key role, providing employment, directing investment to strategic industries and providing various social services. Because of the broad role and importance the SOEs played in Chinese society, dismantling them is a major challenge. Because of this history, the transition to a market economy largely depends on the corresponding introduction of new private sector jobs and the pace at which SOEs can be restructured and their excess workers released. Rapid economic growth is essential in China’s restructuring. Maintaining the SOEs weighs down other sectors of the economy, but shutting them down precipitously could create a political instability. After 15 years of attempts to secure membership, China joined the World Trade Organization (“WTO”) on Sept. 15, 2001, and accessed into the WTO in December 2001. Entering the WTO will greatly benefit China in many ways. It will increase the speed of economic reform, improve external economic relations and bring in increased competition. Over the next five years, China will slash tariff and non-tariff barriers, as well as open up sectors of the economy that have long been blocked off to foreigners. China’s market-oriented reforms have had large success in economic transformation, helping hundreds of millions of people out of poverty. There has been large progress and increases in per capita incomes, a substantial rise in non-state sector activity, growing integration into the global economy and an effective start to resolution of financial sector reform. Economic growth gained momentum during 2000. Strong fiscal spending and private consumption drove domestic demand. Export growth accelerated to 28 percent as the global IT boom entered its final year. The economy grew by 7.9 percent in the first half of 2001, but had a reduction in the growth rate in the second half of 2001 as the economic slump in the developed world affected Chinese exports, with import growth also slightly slowing. Nevertheless, reported GDP growth remains strong despite the weakening export sector. There has been a strong increase in private consumption and fixed investment, reflecting strongly rising incomes. China has not been affected by the weakening global economy as some of its “Asian Tiger” neighbors. Three consecutive years of expansionary fiscal and monetary policy as well as fast-growing domestic demand helped China’s economy escape the worst effects of contagion from the Asian and Russian financial crises and the global recession of 2001. During the period, the country has maintained the peg of its exchange rate to the US dollar, continued to attract strong external investment and achieved robust growth. China has substantial assets and advantages to confront future challenges. The country has mobilized large inflows of foreign direct investment and has an enormous potential market of newly empowered consumers with rapidly rising incomes. In recent years, attracting foreign investment has had an irreplaceable status in economic development in China. For twenty years, China has achieved strong economy growth, social development and impressive improvement of living standards, which were witnessed by the world. China has become a popular country for foreign investment. 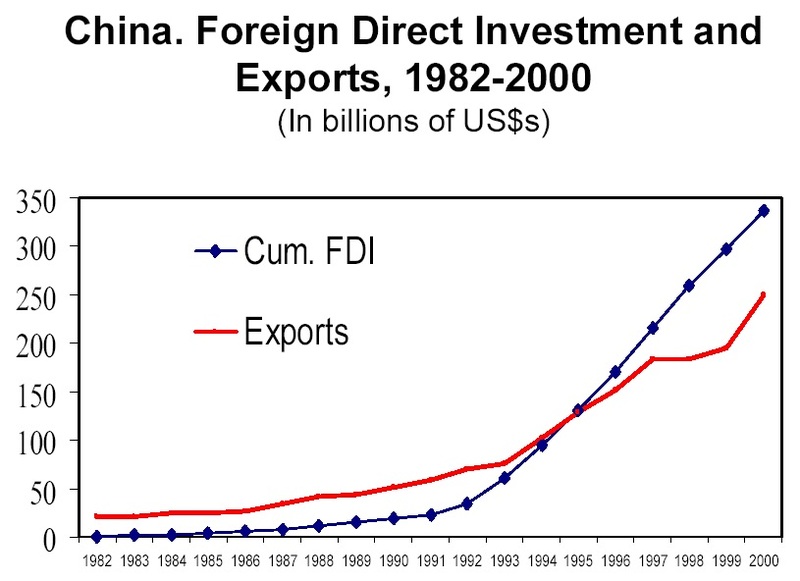 During 2002, China was the world’s leading recipient of foreign direct investment (FDI), netting over $53 billion. China remained one of the developing world’s main locations for FDI, attracting more capital than any of its neighbors in Asia. After China’s accession to the World Trade Organization (WTO), the government agreed to give foreign companies increasing levels of market access for the following five years. Following China’s entry into the WTO, there will be tremendous business opportunities for foreign companies in a large number of industries, including the automobile industry. China has reduced its tariff on automobiles to an average rate of 25%, and the import tariff on auto parts to an average rate of 10%. All reductions will be completed by January 1, 2006, with 10% of reduction each year starting from the year of 2000. China’s current automobile industry is in a state of undergrowth. Many car manufacturers cannot meet their quotas, and their production capacity has been idle for long periods of time. Factories have since been waiting to stimulate the demand and grow the market for automobiles. There are now about 25 factories producing various types of automobiles nationwide. China has grown into the framework of a market economy over the past couple of decades. However, the automobile industry, one of the most competitive industries in China, still remains under a planned economy system. And so, without competition in its real sense, the automobile industry will never grow up and mature. In the last couple of years or so, there has been some steady development and progress in the auto industry. The introduction of mass production and further reconstruction has brought about a bolstering of the industry and its economic benefits are beginning to show. In 2002, the volume of auto sales increased to 2.15 million cars, a yearly average increase of 6.63% from 1.46 million in 1995. The automobile industry in China has a very promising future. There has increasingly been a boom in the automobile industry, and increasing demand from the local market presents great potentials to foreign companies. However, foreign companies have found great difficulty in accessing this market and dealing with Chinese government bodies and companies. With quick development and further reformation of the Chinese economy, the auto industry shows new and strong signs. There has been a concentration on boosting the production of units on a yearly basis; investments in new, distracting projects have been minimized. Also, the recent implementation of mass production has helped to meet the high demands for cars. Manufacturing technology has also been enhanced, resulting in better cars and car parts. All these signs point to a positive outlook for the automobile industry in China in the future. South Korea faced a major economic crisis and subsequent labor unrest in 1997. A general strike was called to oppose a proposed amendment to the labor law that, on the pretext of ensuring international competitiveness of the Korean economy, would result in massive layoffs. Due to the financial crisis, the year ended with the biggest-ever IMF bailout. Before the economic crisis of 1997, South Korea’s postwar economy had been the envy of most developing countries. By using the Japanese model of high savings, close cooperation between government and business, and export-oriented growth, the country quickly transformed itself from a poor war-torn nation into an industrial and technical powerhouse. GNP per capita in South Korea had risen from a mere US$200 in 1960 to more than US$11,500 by 1996. But rapid growth hid a much darker side of development. Close cooperation between government and business also fostered a system of corruption and speculation. The Korean economic crisis escalated through a series of marked events in 1997: business bankruptcies and employment insecurity; a sharp rise in interest rates, dramatic fluctuations of the exchange rate, and a collapse in stock prices; exodus of foreign currency, a contraction of foreign bank loans and growing difficulty in foreign debt settlements. Each step in the escalation of the crisis brought the Korean economy closer to an overall meltdown. To stem the crisis, Korea began negotiating with the IMF for a huge bailout. In December 1997, Seoul agreed to a US$57 billion rescue package, but the IMF insisted the aid be equated with reforms in South Korea’s financial system. The changes endorsed by the IMF are expected to cause mass unemployment. According to the National Statistical Office, the nation’s jobless rate reached 3.1% last December, the highest figure in 54 months. The government announced that the economic growth rate for 1998 is expected to be around 3% and unemployment at 3.9%. However, various other private economic research institutions have presented a much more pessimistic outlook. Daewoo Economic Research Institute forecasts 1998 economic growth rate of 2.2% and unemployment rate at 5.0%. From these figures, it is possible to estimate that unemployment will reach about 1.2 million people, a sharp increase from the current level of 470,000. After making a strong recovery in 1999-2000 from the effects of the Asian financial crisis in 1997-1998, South Korea’s economy was negatively affected by the global economic slowdown of 2001-2002, but has begun to recover in 2002. Growth in real gross domestic product (GDP) is projected at 5.8% for 2002, up from 3.3% in 2001 but down from the 9.2% achieved in 2000. The recovery has been fuelled by domestic demand, even though export growth has been somewhat weak. Increased government spending, largely on infrastructure projects, has been a major contributor to increased domestic demand. In the wake of the Asian financial crisis, South Korea began an economic reform program designed to address some of the conditions that made its economy vulnerable. Most importantly, the South Korean government has begun to break the hold of the chaebols (large, multi-industry conglomerates) over the financial sector. The lack of an “arms length” business relationship between borrowers and lenders had led to many South Korean financial institutions having a very large ratio of non-performing loans. While there is no intention of forcing the chaebols to divest their financial subsidiaries, the government has increased regulation to prevent chaebols from arbitrarily channeling money into other subsidiaries. Chaebols also have been pressed to spin off their non-core businesses and to rationalize their corporate structures. To stimulate domestic demand, the South Korean government under President Kim Dae-jung enacted a package of tax cuts directed at lower and middle-income workers. Under its newest president, the South has embarked on a thoroughgoing program of economic reform. The economy has opened up to short- and long-term capital from abroad. Jobs are less jealously protected than they were. 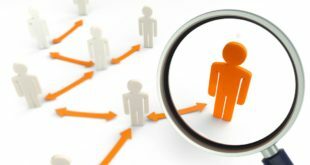 Minority shareholders now have powers to question managers. Starting this year, companies will have to comply with international accounting standards. The supervision of the financial system has been overhauled to meet international norms. To judge by the economic indicators, these measures have been unexpectedly successful. In the first quarter of this year GDP was 4.6% up on a year earlier. The won is back to 1,170 against the dollar, and the stock market is back to pre-crisis levels. Exports have begun to rise again. Stocks have been run down and industrial production has perked up. Financially, South Korea is more integrated into the world economy now than it was in 1994. Foreigners are major players in the capital markets, accounting for nearly 40 percent of stock market transactions, and South Korean residents have greater opportunities to move their funds abroad. The use by South Korean financial firms of off-balance sheet transactions and financial derivatives, which did not exist in 1994, is expanding rapidly. While it is true that the South Korean stock market actually rose during the last crisis, the expanded role of foreign participants and the increased complexity of the financial transactions mean that the market today is far less susceptible to political intervention than it was a decade ago. The collapse of the Asian market bubble in 1997 was more than just a devaluation of Asian companies and markets. The effects of this crisis forced these companies to reevaluate their financial and investment position in their own countries. Previous to the market crash, Korean, and other Asian markets where relatively successful. However, underlying all the success of those companies in Asian markets was basically an inefficient economic trend of reckless borrowing and overvaluation. At this point, the ripple effect took into action and Korean companies, including its biggest automaker, Hyundai Motor Corp, suffered from overcapacity and smaller companies like Kia Motor had no choice but to join their rival, Hyundai. To offset the negative effects that this crisis caused, Hyundai Motor Corp. was forced to invest in other countries to maintain a positive profit margin. This not only helped their financial outlook, but it also made it clear to other manufacturers that Hyundai was a legitimate global player. Since the Asian market crisis, Hyundai has experienced an increase in revenues for the past five years. Evidence points to Hyundai’s commitment to global expansion as a main factor for this success. With new manufacturing plants in India, China, Europe, and the United States, and joint ventures with other automakers in different countries, Hyundai has been able to stay afloat in the volatile foreign car market. Hyundai also has its new product development strategy to thank for its financial success. This became evident in 2002 when Hyundai announced joint ventures with DaimlerChrysler and Mitsubishi to produce new technology and automobiles. Since the crisis, Hyundai has invested a total of $6.25 billion and plans to invest even more in the future to continue its global success. The year ending in 2002, Hyundai’s sales topped 24 trillion won which translates into approximately $20 billion. Since the Asian crisis, Hyundai has been able to more than double its sales in the past five years, a feat that is almost unheard in any industry, especially in an industry where volatility and trends are unpredictable and the competition is fierce. A primary factor in this substantial growth is the exporting Hyundai has done with other emerging market countries and in developed countries. Exporting accounts for almost half of all automotive units sold in 2002. 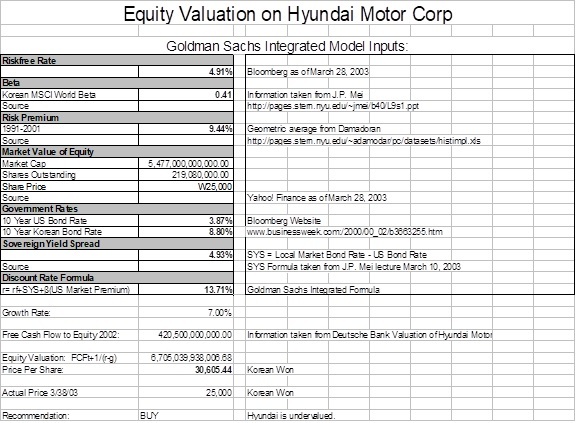 Interestingly, Hyundai has been able to achieve financial ratios like this across the board. Hyundai’s assets, revenue, number of units, return on sales, and net income have all almost doubled since 1997. As mentioned before, the Asian financial crisis’ origin came from reckless borrowing by companies that did not look much to the future effects of this. Unfortunately, Hyundai was one of those debt hungry corporations. However, like any resilient corporation, Hyundai was able to learn from their mistakes and corrected the problem almost immediately. Rather than borrow from unstable treasuries, Hyundai turned to partnerships and equity to finance their global strategy. At their debt-ridden peak, Hyundai’s debt-to-equity ratio was close to 300%, currently, however, they have a ratio in the lower bound of 50%. 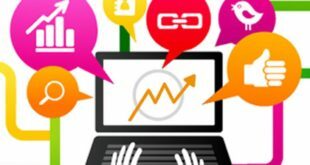 A lot of the success that contributed to this tremendous growth is their affiliate companies in which their ownership varies. 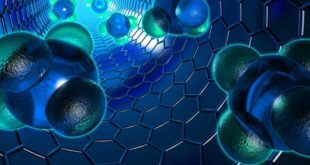 Hyundai has interest in over a dozen affiliates including internet companies, Hyundai Motor in countries such as China and Germany, and chemical companies. Trading on Korea’s KSE composite index, Hyundai Motor Corp trades at 24,000 won with an average volume of 1.5 million shares. Hyundai does pay a dividend of 850 won, which is a common practice in the automotive industry both in domestic and foreign markets. With a price-to-earnings ratio of 5.03, Hyundai does lag compared to the competition. 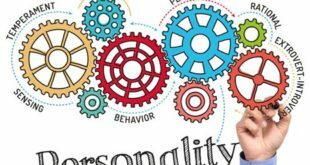 The industry’s average P/E is approximately 21.65, a relatively low P/E when you look at conglomerates such as Ford, General Motors, or DaimlerChrysler. The vast differences between the P/E ratios could be explained by a couple of factors. Being a cyclical industry, the P/E ratio would not be a good benchmark to compare these companies. A more accurate ratio that one could use would be the Price-Earnings-Growth ratio. Since Hyundai is in an emerging market and has experienced unprecedented growth in the past five years or so, a PEG ratio would incorporate the growth aspect to the valuation regression. 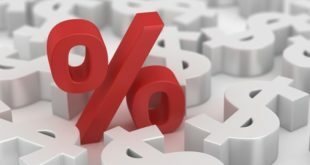 Risk Free Rate: This valuation model uses the US 30 year risk free rate of 4.91%. Beta: The beta in this valuation model calls for a correlation between the Korean market beta and the US S&P 500 index. Taken from the chart given out in Lecture 9, the Korean Market is correlated .41 versus the S&P 500. The beta represents an accurate depiction of market correlation. Since Korea is an emerging market, an American investor must be aware that investing in this country does carry some risk, especially after the 1997 Asian financial crisis. Risk Premium: Instead of using the US risk premium of 4.89% which represents the geometric mean of the historical returns from 1961, we decided to use a risk premium of 9.44%. Our reasoning for this change primarily deals with our assumption that the previous risk premium wouldn’t be an accurate representation of returns in this particular model. The latter risk premiums are those returns only from 1991, a reasonable change being that we were valuing an emerging market company. Sovereign Yield Spread: To calculate this spread, which is crucial in this model, we subtracted the 10 year US bond rate of 3.87% from the 10 year Korean bond rate of 8.80%. Although we could only find a 3 year Korean bond rate, we prorated this rate over 10 years. Discount rate: Using the formula below, we found an appropriate cost of equity for Hyundai Motor Corp of 13.71%. At first glance, the cost of equity from an American investor’s stand point is relatively low for an emerging market company. However, as described in our previous reports, Hyundai is experiencing tremendous growth and is an automotive leader in profit margins. Key partnerships, a growing economy, and increased market share also attribute to the attractiveness of the firm. Our valuation of equity started with the estimation of growth. Looking at analysts’ estimations ranging from 2.5% to 9%, and doing our own estimation, we estimated an appropriate growth rate of 7%. Originally, we thought it would be best to have a lower growth rate; however, it is our assumption that Hyundai is a stable company that has enough earnings and expansion potential to increase their growth for at least the next 10 years. 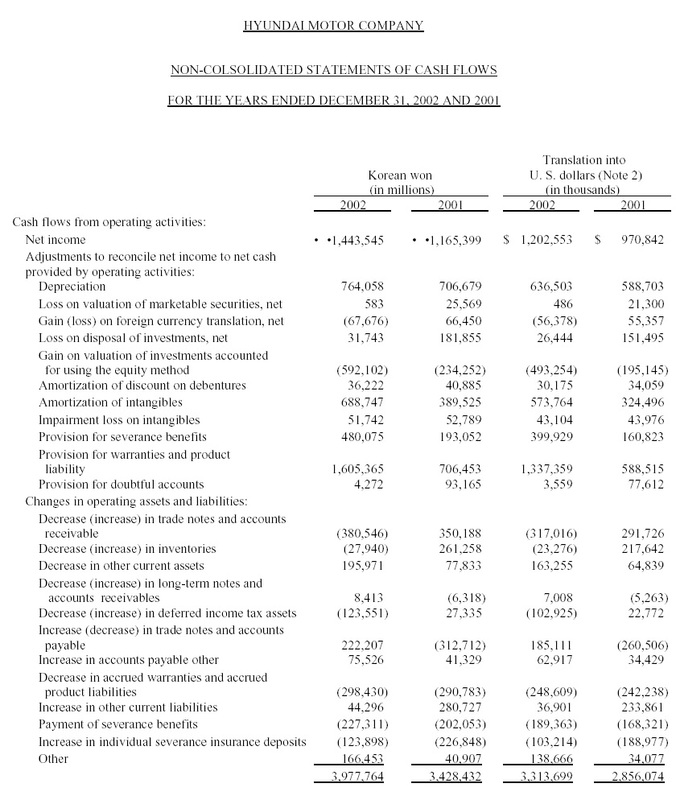 Looking at the balance sheets of Hyundai, we found that the free cash flow to equity is approximately 420 billion won. Using the Gordian Growth stable growth DCF model for equity valuation, we found the value of the company as 6.7 trillion won. Hyundai, having 219 million shares outstanding, translates into a target price of 30,605.44 won. Currently, Hyundai Motor Corp (Ticker: 05380.KS), last traded at 25,000 won on March 28, 2003. Our look on Hyundai Motor Co. Looking closely at the financials of Hyundai Motor Company and its competitors, the analysis proves that Hyundai is well on its way to accumulating global presence through sales. Although Hyundai’s market share in the global economy is relatively very small compared to the United States and European giants, their continued joint ventures and foreign investments will allow them to compete. 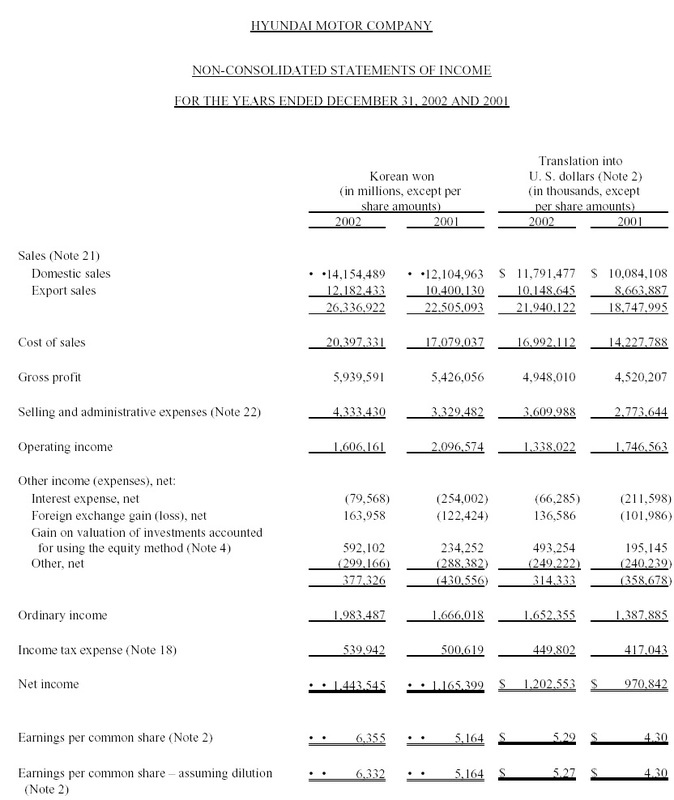 In fact, Hyundai’s net profit margin is higher than most all of the aforementioned companies. Although the financial crisis has impacted nearly every Asian company, it has only dented Hyundai’s financial standpoint. One can also argue that the crisis was a positive event for the long run of this, and other Asian companies because it forced those companies to rethink how they do business. After doing thorough research in both the emerging markets of Korea and China, we have completed a project valuation for Hyundai-Beijing Automotive joint venture. Our valuation is based on many assumptions of Hyundai Motor Corp, Korea and China’s automotive industry, trade agreements, and cost of capital. To implement a strategy that will most efficiently resolve this problem, we have done a thorough investigation of all aspects related to this project. Specifically, we have done valuations (above) on Hyundai Motor Corp, and to get a sense of firm status, we have done a valuation on the project itself and completed a comprehensive automotive analysis in both countries. Cash-flows: Since the project is a relatively straightforward case, we made the assumption that Hyundai’s listed invoice/MSRP for their Sonata and Elantra units were global prices. As such, using the US dollar as a currency, we found the cash flows by multiplying the projected production units of each car by the MSRP price from Hyundai. After finding this revenue stream, we calculated the cost of each car by using Hyundai’s historic profit margin per car of 20%. Once the profit per car was calculated, we then split those profits per year by 50% because of the assumption that Beijing Automotive would take their share of profits. Also, it is important to know that Hyundai’s $250 million and $1.1 billion investments in 2005 and 2010, respectively, are Hyundai’s investment share into the project, not the total investment required for the whole project. Cost of Capital: In our previous valuation of Hyundai, we calculated the relative cost of capital for all Hyundai’s future projects of 13.71%. We believe that this is an appropriate discount rate to use in this particular project. Being that Korea and China share many similarities in economic growth, financial markets, and risk, the cost of capital for this venture into China remained at 13.71%. It is also important to assume that we are valuing this project from an American investors’ perspective thus the previous assumptions of the cost of capital still apply. Production: Given the details of the production units per year in 2005 and 2010, we prorated the potential production capacity for each year in between. Starting at 100,000 units by 2003’s year end and the projected 200,000 units by 2005, we found that the growth in each year in between would increase by 50,000 unit increments. From 2005 to 2010, we projected a growth of 60,000 units per year until their goal of 500,000 by 2010’s year end. 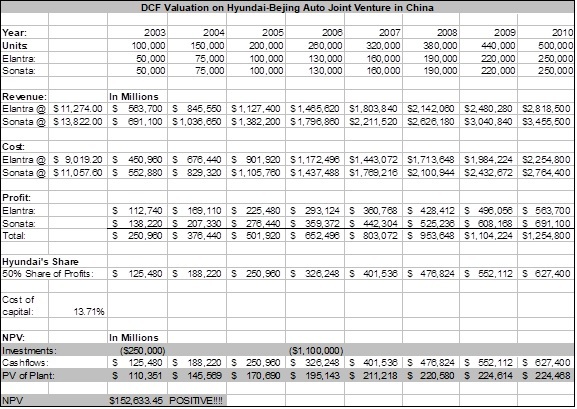 After doing a DCF valuation of the Hyundai-Beijing Motor project, we get a positive NPV of $152,633,450 for the 8 year project. Although this valuation may not be entirely accurate because factors like inflation, political, social and economic risk are not wholly accounted for, we believe that it is a reasonable and rational valuation and will offer a reference point for the project. In the business world, especially in the emerging markets, anything can happen. What Hyundai must realize when investing so heavily in China, is that if the project fails for some reason, weather it be because of macro or micro factors, it will be a sunk cost. Rarely will you find other companies or countries that are willing to buy a plant that is in distress. Keeping all this in mind, Hyundai must make a decision on their plans for the 2005 expansion. It is our belief that Hyundai should venture into this relatively new emerging market to capture the market and benefit from the first mover advantage. Though the risks involved into this project are great, the benefits that can be reaped outweigh the risk in our opinion. Ultimately, Hyundai will have to form synergies with Beijing Motor and the Chinese government on all levels of business and production. 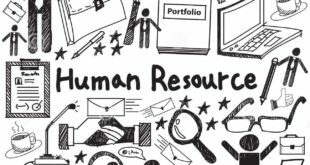 Management must make a deliberate effort to adapt to this environment for the two companies to be successful. However, Hyundai has already invested in four other plants in China and will have invaluable knowledge obtained through those investments to benefit their biggest investment in this venture with Beijing Motor. Consequently, Hyundai’s attraction for investor’s in the US and abroad will increase substantially. In our previous valuation of Hyundai Motor Corp, we determined that the company was undervalued. Their operations in China and other emerging markets will only increase their firm value, contributing to the stability and attractiveness of the firm for investors.